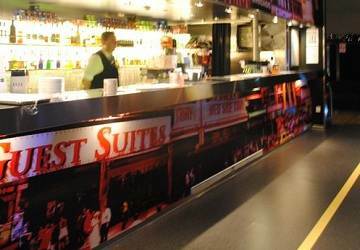 The Silja brand is synonymous with luxury travel and with her superb facilities the Silja Symphony does not disappoint. 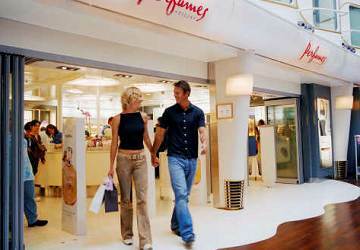 Walk along the Promenade, the heart of the ship, and experience the atmosphere of a central European pedestrian street. Pop into shops, enjoy delicious tapas, take a minute to watch the entertainment and then retire to a wine bar for a drink. There’s a huge choice of cabins onboard the Silja Symphony ranging from standard inside cabins with bunk beds to luxury suites. 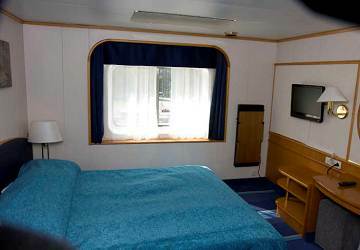 All cabins are en-suite, air conditioned and contain a wardrobe, hair dryer, radio and telephone. 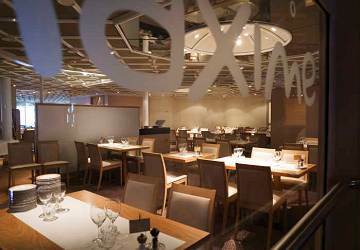 In the restaurants onboard the Silja Symphony you’ll find delicious dishes to suit all tastes. Skilful creations are on offer at the fine dining Bon Vivant restaurant, there’s famous seafood platters at the Happy Lobster fish restaurant and a ’Captain’s Sword’ skewer in El Capitán. You’ll also find an extensive menu at Bistro Maxime which includes a selection of both traditional and modern dishes or head to the Silja Buffet to fill your plate with roe, shrimps, traditional island dishes or tapas. For a snack try the quick and easy Mundo restaurant on the promenade. Head to Promenade Bar for a relaxing drink with friends or Keulabaari is ideal for sipping a glass of bubbly while enjoying the fabulous views. For a taste of England in the Baltic try the Old Port Pub - an authentic English pub specialising in beer, cider and whisky. 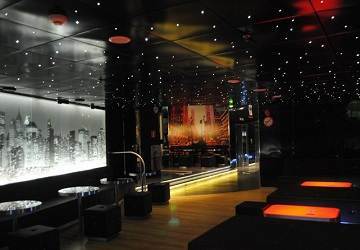 The New York Club & Lounge is somewhere to enjoy your favourite cocktails and listen to live piano music (starts the moment the ship departs). 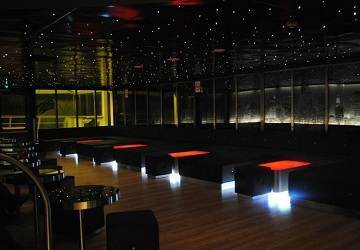 Later in the evening the place is taken over by karaoke fans and around midnight transforms into a club filled with a lively party crowd. The resident DJ plays the hottest club music and the latest hits. 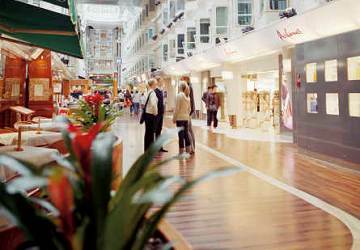 If you like to shop then you’ll be in heaven on the shopping promenade of the Silja Symphony. Shops include Silja Tax Free for spirits, wines, beer, cigarettes, sweets and food; Silja Perfumes offers the best-known quality brands in perfumes, cosmetics and skin-care; the Fashion shop on the Promenade specialises in accessories for men and women; the Deco shop offers a range of beautiful home necessities and gifts while in the Bon Vivant wine shop you can select from the most fabulous vintage wines. If you’ve had enough of the good food and shopping then why not head over to the Spa? The tropical atmosphere in Sunflower oasis is relaxing for the whole family. 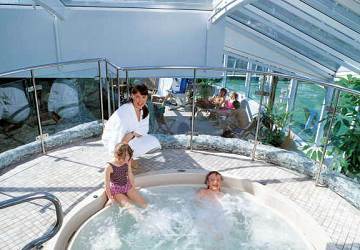 Simply enjoy and relax in the bubbles of the Jacuzzi or try the sauna. Silja Symphony Bellamare & Wellness center offers a range of cosmetic treatments too. The information desk handles currency exchange and matters relating to your cabin as well as selling sightseeing and public transport tickets. There is also a mail box located on deck 7. In Silja Land, the children’s playroom on the Promenade there are all kinds of fun activities from a ball pool to games, drawing material and toys. Please Note: Whilst we have taken great care in making our Silja Symphony guide as accurate as possible, onboard facilities, services and entertainment may vary depending on the date and time of year that you travel, facilities mentioned may change without notification and ferry companies reserve the right to operate vessels other than those mentioned at time of booking without prior notification. "Great staff! Clean beds! Great facilities!" Very good transportation from Helsinki to Stockholm. Relax, comfortable and good price. So enjoy shopping on the ship. Booked a cheap crossing between Stockholm and Helsinki and down on level two but really nice cabin, bunks for two, comfortable and roomy. En-suite shower room and toilet. Small sitting area. Great deals in the duty free shops and very enjoyable free show. Nice cocktails in the bar with great views. After the holidays we had to go home again. We chose to go by car so a crossing on a ferryboat was inevitable. We boarded in Helsinki on the Silja Symphony. A huge boat. Because the crossing took 17 hours we hooked a cabin to sleep as well. Although below the cardeck the noise was not to bad. The Beds were great and a privat bathroom made it even better. I can recommend this to anyone. "Overnight from Helsinki to Stockholm"
Larger cabin than we expected, comfortable beds, decent sized shower. Food was excellent - we will definitely do this again! For a family of six with small children, the ferry was a great fit. Buffet prices were very high, but the duty-free store was very reasonable. We got by on snacks because we had dinner before departure from Helsinki. The experience, overall, was great for us. The family cabin, with foldout sofa and fold down bunks worked great. The kids enjoyed the onboard entertainment and a stroll around the top deck. I would recommend the ferry to anyone making a trip around the Baltic instead of a cruise liner experience. I sailed from Stockholm to Helsinki last week. We were very lucky with the weather which was hot and sunny. Our cabin was small for 3 but the beds were comfortable and the shower was hot and plentiful. We opted for the buffet dinner which was amazing- so much choice and with wine included, really good value. 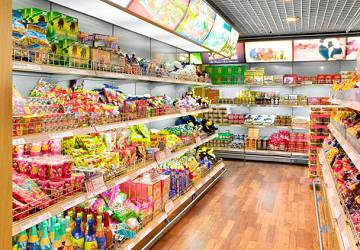 The shops on board were cheaper than shore prices so stock up while on board. Highly recommended. We were pleasantly surprised by the range of facilities and level of comfort, especially compared with our last trip several years ago. We would recommend the ship to anyone. Large spacious, more like a cruise ship than a ferry with a large top to bottom atrium along the central space with shops and entertainment. Room was small was totally comfortable and well appointed. Excellent overnight trip. 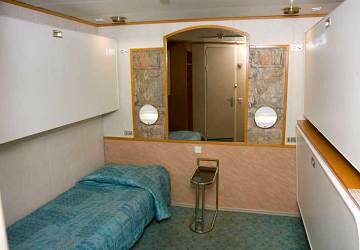 The ship has all sorts of facilities, too many to use on a one night journey. We had the cheap tickets it seems so were down on the bottom deck with all the young people taking advantage of the duty free booze. It was great to see them having such a good time. Wish I knew about this ferry 20 years ago. A very pleasent trip on Silja Serenade and Silja Symphonie! 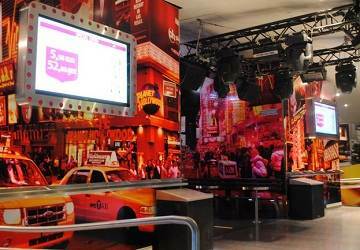 Entertainment, shopping and food. Pleased with everything! We thought it a well-organized trip with the camper. A standard class cabin was booked and it looked amazing. Everything in there was aanwezig. Next time we will opt for a cabin on an upper deck (for a better feeling). We couldn’t believe how beautiful everything was; shops, different bars, variety of food, tax-free shopping (unprofitable for Dutch passangiers), Karaoke, performances, casino etc. The staff was friendly and helpful, the ship left and arrived on time and we sailed for at least 3 hours along the islands before we reached the open sea; Amazing!! After all that, we enjoyed a quiet evening/night in our cabin. This was not just a ferry crossing, this was a cruise crossing with every available service on board. Luxury after some of the ferry crossings that we have done across from England to Holland, Bari to Dubrovnik (horrendous) Kristiansand to Hirtshals, Dublin to Holyhead etc so we have experienced a few. Would definately recommend this one. Only thing is book well in advance so you don't get below the car deck - makes an awful noise when docking. 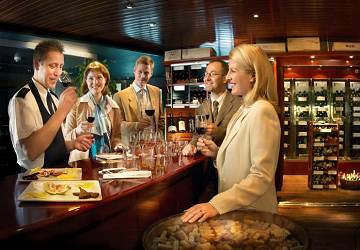 "Nicest sea voyage in Nordic countries?" Wonderful sailing through an amazing archipeligo - both through Sweden and Denmark. Everything was good, but the next time we will not be travelling unspecified as this increases ones chances of ending up in a rowdy cabin. 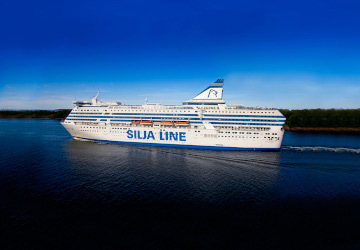 "Loved the Tallink Silja !!" Everything about this trip was excellent.The staff were lovely,the facilities were excellent,my grandchildren loved all the onboard entertainment and I would recommend 100% !! We travelled from Helsinki to Stockholm and back-no complaints at all and would love to do this again-just loved it !! Incredible to believe this ship is called a ferry as more like an ocean liner. "Baltic ferries for transportation "
In general, all the best. If, however, a simpler accommodation, food etc. prefers, because I chose to train & ferry as an alternative to air to travel climate-friendly. The built-in 'luxury' was impressive, but does not interest me otherwise.